Occasionally does somersaults over owner's head. Before being able to farm for this companion, players must complete a quest chain. 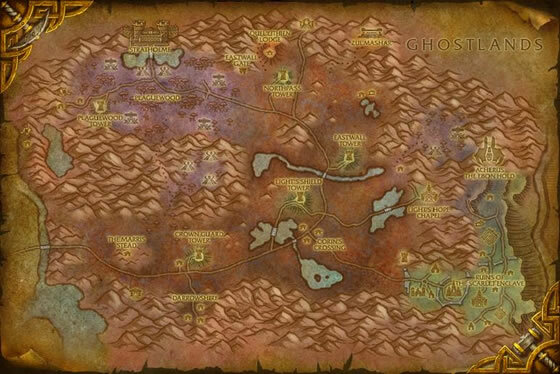 This chain is started at the entrance of the Eastern Plaguelands (from Western Plaguelands) and is given by the NPC Fiona. See our Community Guide: Mr. Grubbs for details. In all seriousness, he's also quite a good battle pet. He hits decently well and his speed is good too. I just keep him on the default skill set and that's usually enough to deal with most encounters. It's very powerful, easily taking on enemies some levels higher than it. Worth grinding for IMO, if you dont get it just by questing. Just got 2 of them for 20 gold in the AH. So luck! I got this little guy on my account just while questing in the zone. I am now trying to get him for my husband. After 3 hours and 2 levels gained just from killing mobs (no quest turn ins at all! ), still no luck! I am gonna take a break and try again tomorrow... Maybe. I am rarely this lucky, but I got mine on my second kill! I was all settled in to be here for some time and Bam! I don't expect to be that fortunate again for a while. :) Good luck! started at the Undercroft, killed 3 guys, first bag had Mr. Grubbs! I got mine from Tyr's Hand afta abou 14 minutes. I got mine off the mob at the Undercroft as many others have. The mobs spawn quickly, so don't be discouraged if you don't get one off the first bag you come across. Good luck! Took me less than 10 minutes to get 2. I killed everything in Noxious Glade. The first Mr.Grubbs I got came from either the first or second bag that dropped for me. The last dropped maybe 4 bags later? Pretty high drop rate or I got lucky. It took me less than an hour, here's how I did to actually farm "fast". In the upper zone, there are huge corpses with 4-5 mages zapping at them, you go there, taunt, gather somehow all the guys and kill them 5 at the times, then loot once, and go to the next group. After doing 6 of those groups I got the good bag. It's fast cause the enemies are all close and you don't need to look around, and it allows to have them all together so you don't have to loot every single one. Was getting annoyed after 35 mins of non stop farming for this little guy.. best advice i can give is go to Zul'Mashar in the North-Eastthe spawn rate is quite high for the mobs and is the best place. I opened at least 15-20 bags before i got him. Dont give up, he can be gotten but i would recommend that location for quicker farming... best of luck! Just got him! If you have already done the fiona quests, her cart will be at Light's Hope Chapel and you can get your lucky buff there. He droped in Zulmarshar from the mobs that come out of the graves. Good luck! I just got this on my second bag, after killing about 15 mobs. It dropped off Zaeldarr the Outcast, in the Undercroft. I went downstairs, killing the other mobs as I went (because they had the highest drop rate for the bag at 14%, which was why I had chosen that spot to farm) and decided I'd kill the big ugly guy in the alcove. I was happy when it dropped but could NOT believe it when I saw that it had Mr. Grubbs! After reading how hard it was for so many? My jaw dropped. I just stared. Awesome! Got this as a very nice surprise while in EPL for Loremaster. Then about 20 minutes later I got another one :) Such a shame it's BoP. I think he is one of the fastest to get. I farmed for a little over 45 minutes including the small quest chain. Maybe they increased the drop rate. I got him on my 6th bag. The Sewer Rat, on the other hand...I've spent hours fishing for that with no luck yet :(. while fishing for the dalaran rat I observed some funny jumping over you in the water and come back behind you behavior from this pet. Later I experimented a bit and found that if you stand on a ledge in front of a ravin mrGrubbs eventually will jump over you and go down. It may take a while but he will come jump back up to you out of the depths. Sometimes you have to wait a few minutes but he will come back up making salto`s. I wonder if any of you experimented with this. Spent some time farming him until i found a spot near corins crossing.. just under the letter 'g' on top of a hill. The grubbs there are many and spawn quickly. i got Mr. Grubbs in 5 minutes and learned it, turned around and shot another grubb for the heck of it, got another Mr. Grubbs 10 seconds later. Sad that these are soulbound and i had to vendor it :-( This was a lot easier than getting the disgusting oozeling, i still haven't learned that one yet, saving him for #100.. only 10 more to go! 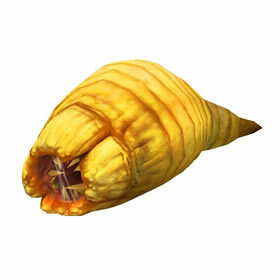 The grubs of the Plaguelands are a side effect of necromantic corruption and the massive number of corpses there. Mr. Grubbs is from a particularly acrobatic breed.